Intelligent Business Solutions is considered one of the top Hydro Jetting Service Provider in Bahrain. With our experience team and successful projects and variety of equipment we assure our customer service satisfaction. Hydro Jetting Services for water and fuel pipeline make sure the pipeline is clear from blockage, waste, mud, sand and other obscene. With High Pressure water jetting, it helps in performing CCTV Survey and clearing blockages. Intelligent Business Solutions provide Hydro Jetting services for different types of pipe diameters ranging from 50mm up to 1.5mm. With our Equipment’s we have completed several projects for different types of usage like water pipelines, storm water pipeline and sewer water pipelines. The Jetting Operators and the team determine the appropriate nozzle required for the pipeline, and the appropriate pressure. There is different type of nozzles available with our team to perform backward and forward jetting as required. The team make sure the pipe is clear by performing jetting appropriately and repeating the process as required. 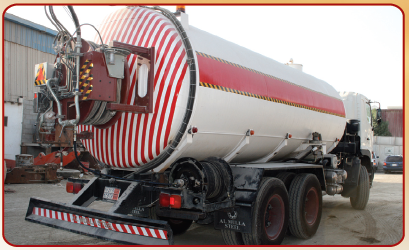 Our Equipment range from Trailer Type Jetting Machine to truck type with large tank. Pressure up to 5000PSI. The team is occupied with other helping tools and equipment’s. For Safety of different pipe materials and usage we insist to use sweet water for jetting service regardless of its cost.